Gran Turismo Concept was really something of a misfit when it was launched back in 2002. 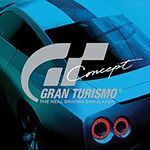 As the successor to Gran Turismo 3, it was percieved more as an expansion pack than a fully fledged sequel due to the glaring omission of a GT mode, instead consisting of an arcade mode designed to be more accessible to casual players. However, its main appeal lied in its car selection which comprised of various concept cars which were, at the time, recently revealed at motor shows. Despite this however, a large quantity of the selection of cars were not concept cars, which was somewhat misleading, although there were a few other new vehicles that were previously absent from GT3, again constituting to the expansion pack vibe. The tracks of GT Concept were also reused, with the exception of the newly revamped Autumn Ring, which had not been seen since GT2, along with a specially modified version of Clubman for the exclusive Toyota pod race. Whilst GT Concept has an appealing selection of cars, its lack of additional structured content made it a disjointed experience, and even some of the concept cars felt like novelties - the screamingly woeful Japanese oddity that is the flagship Toyota pod being a prime example. There were also 3 different versions of the game - GT Concept 2001 Tokyo was launched in conjunction with the Tokyo Motor Show and contained many cars that were newly revealed. In succession to this, 2002 Tokyo-Seoul was launched in Korea, which contained all cars featured in 2001 Tokyo along with several new Korean marketed cars. Finally, 2002 Tokyo-Geneva was released in Europe as the most complete package, incorporating all cars that had been featured in the previous two versions. And the challenge circuit was cool too. No, I need to unlock the remaining cars. This car is so idiotic in real life. it stands for Personnel On Demand. Sim, este jogo tem muitos mais carros. Especialmente o 206CC, que joguei com ele mts vezes. I WANT TO PLAY THIS GAME AND DRIVE Toyota Pod!!! ACE the ultimatum wrote I WANT TO PLAY THIS GAME AND DRIVE Toyota Pod!!! if you have, you won't drive it anymore ^^ but the dogtail is very funny, i have to admit. Star Wars Fanatic wrote No, I need to unlock the remaining cars. Someone tried to pass off a fake version of this at my local Thrift Store recently! I know some people do that, but there isn't really a point with such an obscure game. 'twas 5 bucks. I've never played this before, But it looks like a GT game made entirely of cars unveiled at some concept car show like Detroit.